Jason grew up in the middle Georgia area and graduated from Warner Robins High School in 1994. Jason was drafted in the 1994 MLB baseball draft by the Philadelphia Phillies in the fourth round. He enjoyed that experience greatly. After his baseball career Jason was saved on May 23rd, 1999 at Second Baptist Church. A few years later Jason was called into ministry. 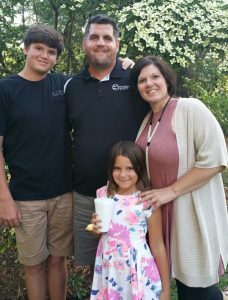 Jason graduated from Truett McConnel College with an Associate’s degree in Christian Studies in July 2005 and later received a Bachelor of Arts in Christian Ministry from Leavell College of New Orleans Baptist Theological Seminary. Jason loves sports and is very excited to help serve in our Victory Sports ministry as the Director of Sports and Recreation. He cannot wait to see what God is going to do through our “Greater Things” campaign. Jason is married to Kelli and they have two awesome children Eli and Brynley.